Night one of the annual NY2LA Sports Summer Jam did not disappoint as some of the top prospects in the country took the floor here in Milwaukee. Coaches from Kentucky, Kansas, Arizona, Michigan State, Louisville, Wake Forest, Marquette, Wisconsin, and Michigan to name a few were front and center taking in the action. Here are some of the prospects that stood out to me on night one. Kahlil Whitney – 2019 (Mac Irvin Fire 17u) - Whitney put on an absolute show opening night backing up his five-star status. It was a dunk show for Whitney as he had the whole gym on their feet with his impressive throw downs. The 2019 wing has an improved skill set and jump shot making him a promising high major prospect. Whitney plans to cut his list soon holding offers from Florida, Illinois, Syracuse, and Louisville to name a few. Blue bloods are starting to take notice of the five-star as Kentucky and Kansas were both in the gym Wednesday watching. Kofi Cockburn – 2019 (NY Rens 17u) - The 6-11 forward was an absolute beast on both ends of the floor making sure his presence was felt almost every possession. The five-star prospect plays with a combination of strength, power, and aggression that is extremely hard to match up with against at this level. 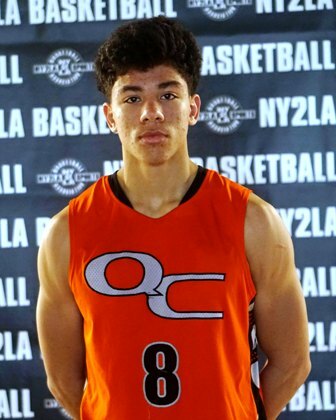 Cockburn is getting recruited from some of the top high major programs across the country and figures to cut his list down soon. 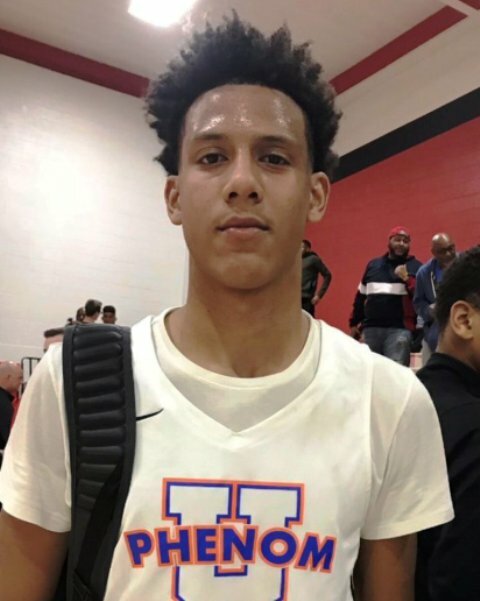 Jalen Johnson – 2020 (Phenom University 16u) - One of the top 2020 prospects in the country was on full display opening night. Throwing down some of the more impressive dunks I've seen him do in game there was no question why the whole gym was buzzing. Johnson is an outstanding passer as he uses his height and vision to put the ball in tight spots setting up his teammates for easy buckets. His shooting continues to improve, and he knows it as his confidence is getting higher and higher on his jump shot. Johnson has offers from some of the top programs in the country including Kansas, UCLA, Arizona, Florida, and many more. Mike Saunders – 2020 (G3 Grind 16u) - The ultra-quick and shifty point guard exploded for ten points in the final moments of G3 Grinds win over Reach Legends. He is relentless in attacking the rim and finishes strong through contact. Saunders has offers from the likes of DePaul, IUPUI, Northern Kentucky, and more. High majors are keeping close tabs on the rising 2020 prospect. Terrance Shannon – 2019 (Mac Irvin Fire 17u) - One of the most athletic and exciting players in the gym on opening night was the other half of the dunk show with five-star teammate Kahlil Whitney. Shannon is still raw and has a ton of untapped potential but watching him for just a couple of possessions you can see why high majors have offered. The rising prospect exploded for 27 points in Mac Irvin Fires blowout win. 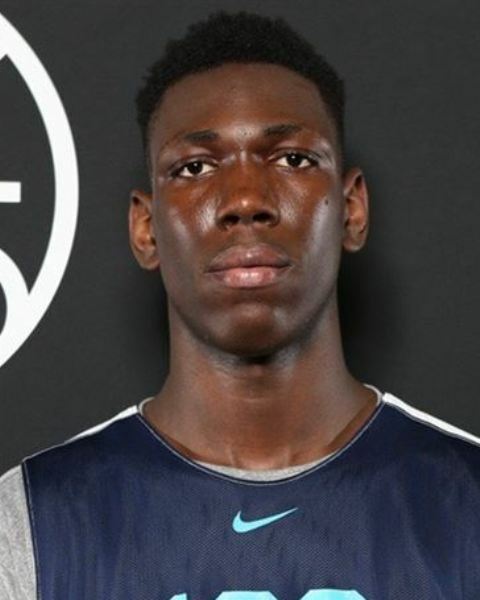 Already having an official visit under his belt to Florida State he holds other offers from the likes of Louisville, Texas A&M, Illinois, and a host of other high major programs. Isaac Lindsey – 2020 (Phenom University 16u) - One of the top shooters in the badger state no matter the class put on a display from beyond the arc for Phenom University. He was hitting from well beyond the arc and it didn’t matter how much room he had he was going to hit the bottom of the net. Lindsey finished with 17 points in Phenoms win over Illinois Wolves. Lindsey holds offers from the likes of DePaul, UNLV, South Dakota State, Green-Bay, and Milwaukee. Malcom Miller – 2019 (Ramey Jets 17u) - Miller put on the best shooting display of the night when the 2019 prospect knocked down 7 three pointers and 6 of them came in the first half. He was hitting them off the bounce and off the catch it didn’t matter he had the shooters confidence and it showed. With over 50 college coaches watching the game the late blooming prospect had them buzzing with his performance. He finished with 26 points and 21 of them came in the first half. DJ Carton – 2019 (Quad City Elite 17u) - Fresh off his commitment to Ohio State the hype was real for Carton to take the floor. Coming off the bench it didn’t take long for the five-star 2019 prospect to make an immediate impact. Over the course of the first 30 seconds Carton was on the floor he managed to knock down an NBA range three, get a dunk, and an assist for an easy bucket. He finished with 10 points and 6 assists.